currency or own armed forces. 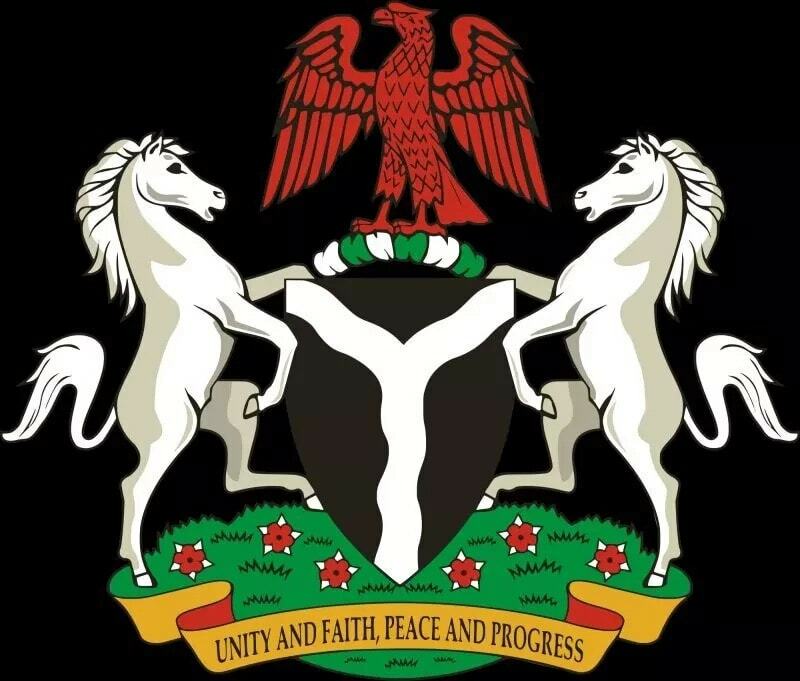 Though the designer of the Nigeria Coat of Arm is not officially documented, however, national symbols such as the national flag are known to have been designed by a student named M.Т Akinkunmi, who won a nation-wide competition in 1959.
eagle standing on top of the band. A black shield – Which represents Nigeria’s fertile soil. represent the country’s main inland waterways, the rivers Niger and Benue (which both meet to form a confluence at Lokoja). Two horses on either side of the shield – Represents Nigeria’s dignity. representing the nation’s beauty and rich heritage. An eagle standing on the shield – Represents the strength and pride of Nigeria. The wreath (with green and white bands) – These represent the rich agricultural potentials of Nigeria. Watch the video below to further understand the meaning of this Nigeria’s unique symbol.